Visitors to Colorado usually end up taking long treks into the mountains to ski at fancy resorts like Vail and Aspen, but the locals have a couple of secret slopes up their sleeves. It’s time to let the cat out of the bag and tell you where a few apartment communities are that give easy access to the best local snow. 52nd Marketplace: 7797 West 52nd Ave, Arvada – $549 – 1040 One and two-bedroom units are available at 52nd Marketplace, which features floor plans ranging from 550 – 1045 square feet. The apartment community is just over 30 miles from Echo Mountain and all the skiing you can handle in a day. A great thing about Echo Mountain: it’s not heavily visited by tourists and the locals pretty much have it all to themselves. Mountain Run: 12146 W. Nevada Drive, Lakewood – $649 – 1099 Choose from one- to four-bedroom floor plans ranging from 650 – 1150 square feet. The apartments here include full-size washers and driers and have a liberal pet policy. This place has skiing on the brain, with the floor plans actually being named after resorts, which is fine by me. If you’ve never skied Arapahoe Basin, you need to. It’s located a quick 54 miles from Lakewood and has one of the longest ski seasons on the entire continent. Arapahoe Basin is only shuts down in June of each year and opens again in October. 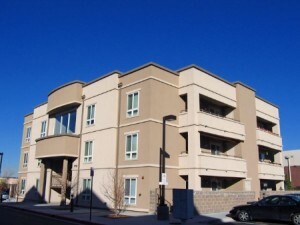 Park Place at 92nd: 9081 Federal Blvd., Westminster – $634 – 919 Bring your pets to beautiful Westminster, just 20 minutes from Denver. These one – three-bedroom units range from about 616 – 1036 square feet and the community has great shopping opportunities: groceries, a major mall, and a rec center are just around the corner. Residents of communities like Westminster, that live northwest of Denver, run up 40 miles through Boulder to get to the Eldora Mountain Resort which is relaxed and unpretentious. Nothing but locals come here, so visitors don’t need to rush. There’s a great cross-country center here too, if that interests you, and the ski school is one of the best in the State. 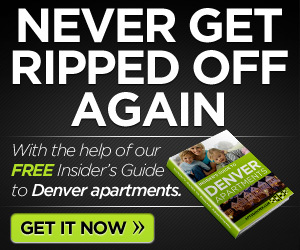 So, if you’re moving to Denver, and apartments near the slopes are a must, check out the three communities listed above. There is no need to live farther away from a ski resort than is necessary, and these properties get you to the slopes in an hour or less. How about you? 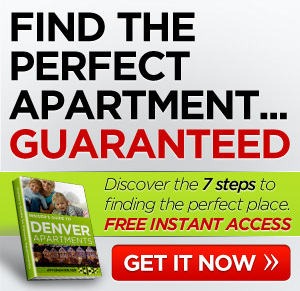 Any luck finding apartments in Denver near skiing? Comment below.